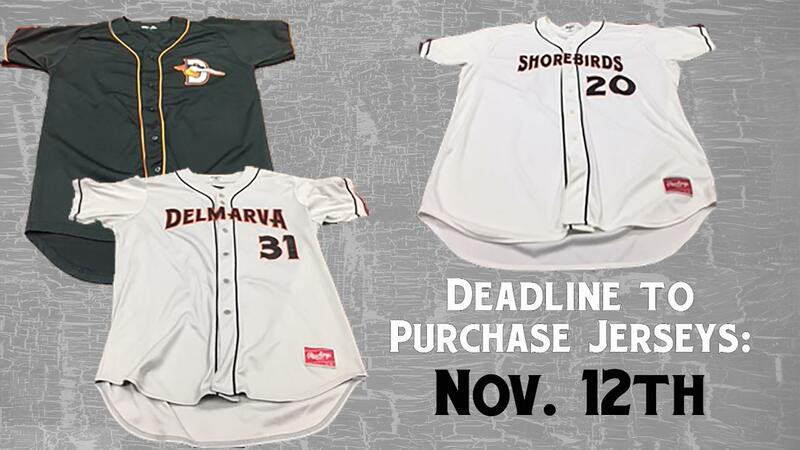 The Delmarva Shorebirds are giving fans the unique opportunity to purchase game-worn home, road, and alternate jerseys from the 2018 season. The home (white) jerseys are signed by the player. Availability is limited and indicated in the link below along with the prices for each jersey. Jerseys will be sold on a first-come, first-serve basis. To order, please contact Jimmy Sweet by phone at 410-219-3112, ext. 121 or by email at jsweet@theshorebirds.com.